SHARE This item has been discontinued and we do not expect it to be offered again. 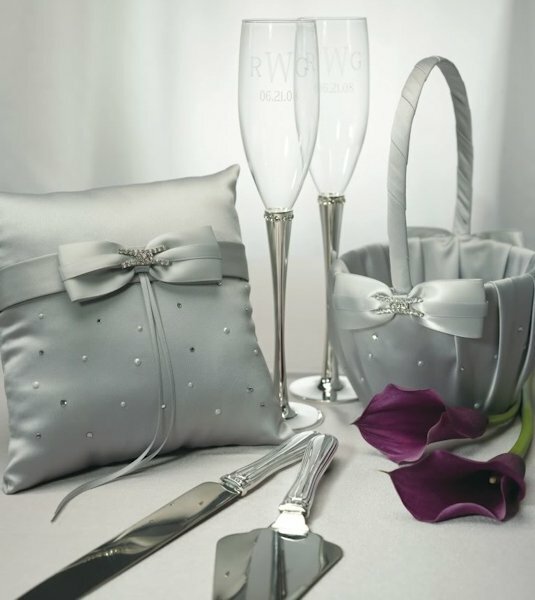 Sophisticated and stunning! 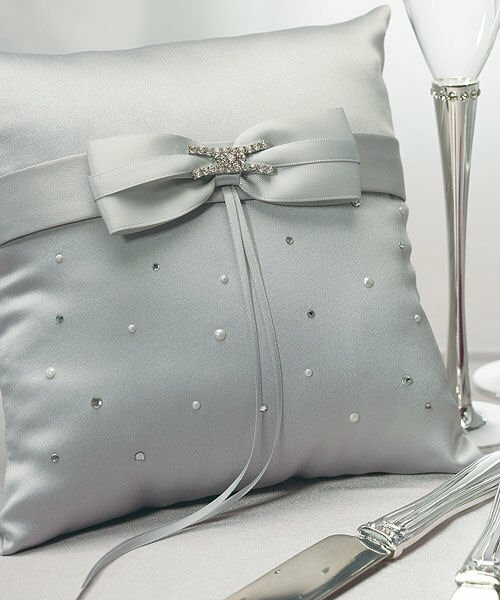 Our Platinum and Crystals Silver Ring Bearer Pillow has the perfect balance of pearls and shimmering crystals accenting the luxurious premium duchess satin. 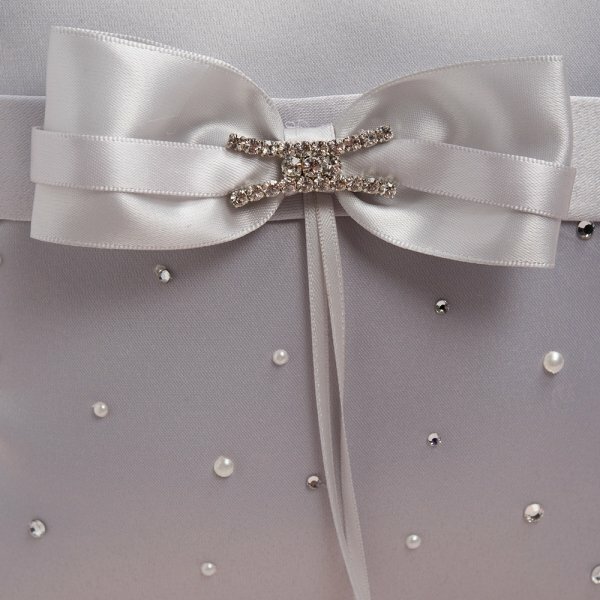 A stylish bow features a crystal embellishment for a great presentation. 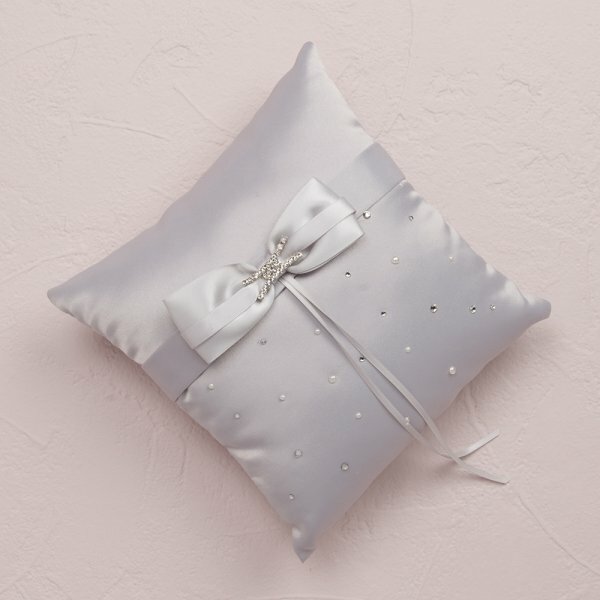 The result is a ring pillow with enduring style. 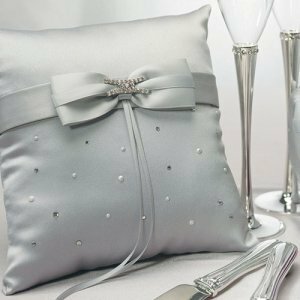 As a result, your ring pillow will add glamor to your special day. Product dimensions - 8" square.